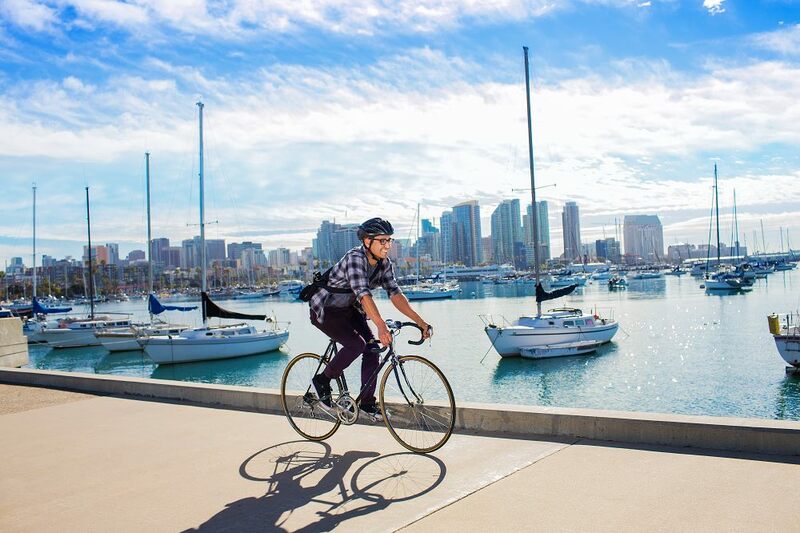 SAVE THE DATE — the 29th Annual SANDAG Bike to Work Day is Thursday, May 16, 2019! Register to join thousands of riders throughout the San Diego region as we GO by BIKE on the morning of Thursday, May 16! Individual registration will open on Friday, March 1. Registration is required to claim your FREE official 2019 Bike to Work Day t-shirt. Stay tuned to the iCommute Facebook and Twitter pages for updates on event details and to vote for your favorite t-shirt design! We can’t wait to see you GO by BIKE! For more information about Bike to Work Day 2019, visit iCommuteSD.com/BiketoWorkDay.